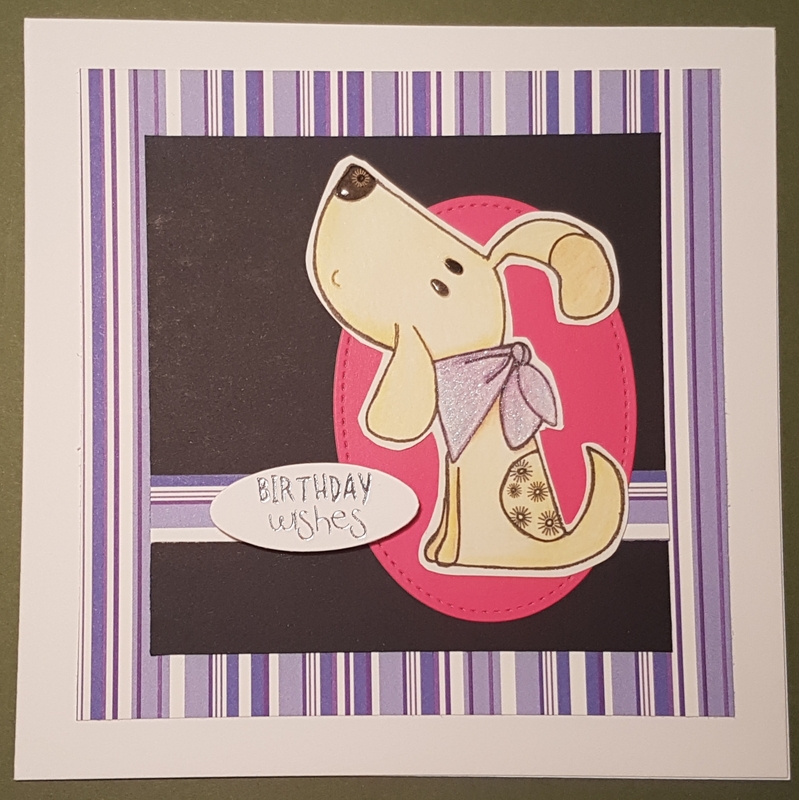 I used the purple stripey paper and some black card to make the background and then the pink card that I die cut a stitched shape oval from to make the image pop! For a change I chose to use a die cut foiled sentiment from a batch I found in my stash and had forgotten about. Nice to find something and make use out of it. Tomorrow I will have another card I made from the stash of digi stamps I found!